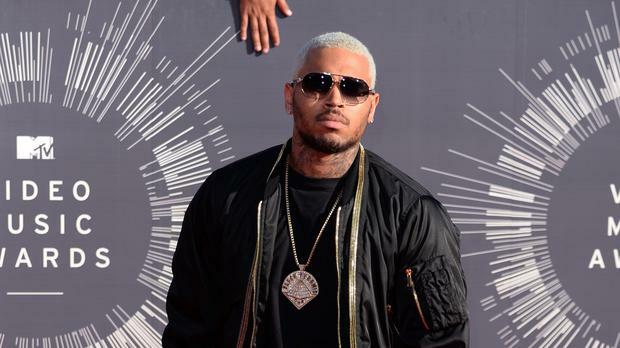 A judge has revoked Chris Brown's probation for his 2009 attack on then pop star girlfriend Rihanna after the R&B singer travelled without approval for a concert and failed to complete community service on time. Los Angeles Superior Court judge James Brandlin allowed Brown to remain free until a March 20 hearing when the judge will receive an update from probation officials. Brown, 25, was ordered by probation officials in December not to leave Los Angeles County without permission. The Grammy-winning singer performed in San Jose recently without obtaining permission to travel. Lawyer Mark Geragos told Judge Brandlin that his office incorrectly advised Brown he did not need permission. Brown was supposed to complete 1,000 hours of community work by the end of January, but he still has about 200 hours to complete. A shooting at the San Jose club injured five people, but there were no indications that Brown was involved in the attack. But Judge Brandlin ordered probation staff to investigate the shooting and whether there were any issues involving the singer. The judge said he accepted Mr Geragos' explanation, but needed to revoke the probation to keep control of the case. He also said it was not unexpected that Brown failed to complete his community service on time. Brown appeared in court with his mother and girlfriend. All three looked sombre before the start of the hearing, with Brown spending much of his time with his eyes closed and head down. The judge said Brown had been making steady progress on the community service aspect of his sentence that requires him to perform manual work such as roadside clean-up or graffiti removal. The singer avoided probation problems until 2013, when prosecutors questioned whether he completed the terms of his community labor in Virginia as required. Judge Brandlin briefly revoked Brown's probation after he was charged over a hit-and-run accident. That case was eventually dismissed. In another case in October 2013, Brown struck a man outside a Washington DC hotel and was charged with misdemeanour assault. Judge Brandlin ordered Brown into rehab, but the singer was expelled from the programme in March 2014. He spent two and a half months in custody before being released in June.